The practice of yoga is about attuning to our inner environment and aligning with our external environment. 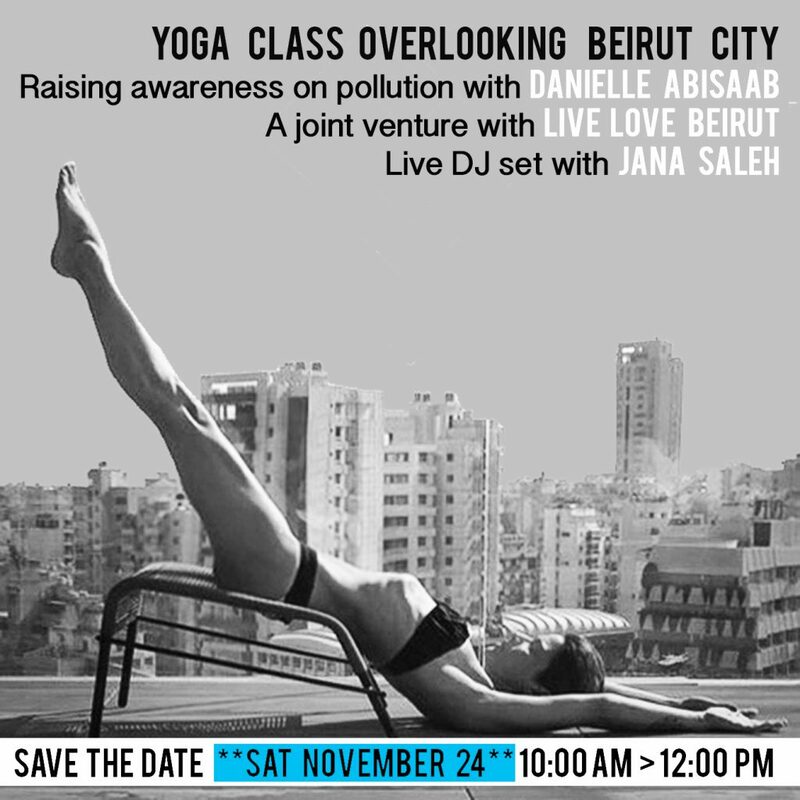 With Beirut City’s skyscape as a backdrop, come and explore these themes and more with Yoga Instructor Danielle Abisaab, as she guides you through a vigorous and detoxifying yoga practice designed to integrate the idea that there are no inconsequential actions, only consequential inactions. Aside from teaching a variety of classes and workshops, her most important endeavor has been sharing the yoga practice with Syrian Refugee kids in Lebanon. She is the creator of an artistic exchange program, which brings yoga, music and arts to these kids, providing them with an opportunity to heal and integrate the magic of oneness through creative expression.